Calgary Real Estate is what we live eat breath and sleep! Award winning Calgary REALTOR® for over 18 years, we know all about Calgary Real Estate Listings. With my in depth knowledge of Calgary Real Estate, I have composed this authoritative guide to the benefits of buying a part of Calgary Real Estate. Whether your living abroad and want to move here from the United States (I have successfully helped many clients purchase a home here from the United States) for example, a fellow Calgarian, or you're outside Calgary in Canada and want to move to this great City, I will provide you a wealth of information to the benefits to making your home in the City of Calgary. You will also learn in depth about Calgary's history and its real estate from past, present where the market is going in the future. Calgary is home to over 200 communities that come with several unique offerings to a homeowner, with your choice of community being just as significant as the type of house you purchase. Proximity to the city center, the commute times, accessibility, views, demography, and proximity to parks should be factored into your decision of which community to reside in. Divided neatly into four main quadrants, Calgary has four regions, northeast, northwest, southeast, and southwest. Looking for an expansive property or a pulsating space in the heart of the city, diverse Calgary real estate exist that will appeal to you in a plethora of intriguing communities. 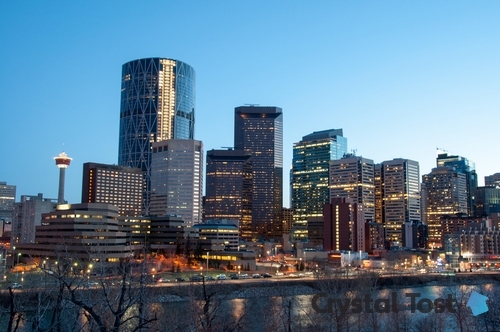 Find Calgary, Alberta homes for sale and other Calgary real estate below. Search the City of Calgary's real estate market for houses, condos, townhomes and single-family homes by price, days on location and bedroom amount. This extensive database of Calgary real estate listings provides the most comprehensive property details like square footage, photos, video tours, home values, amenities and local neighborhood and school information. You can be sure that you have nearly all the facts you need upfront before contacting me to help with the home your interested in. Enjoy your Calgary real estate search on calgarylistings.com today!